How many college coaches have discovered you today? With every college coach on SportsRecruits, your dream school is only a click away. Every college (and coach) on one platform. Get started for free today! Researching schools lays the foundation for your recruiting process and building your target list. Find schools that fit your athletic and academic goals. Filter schools by location, division, test scores, etc. 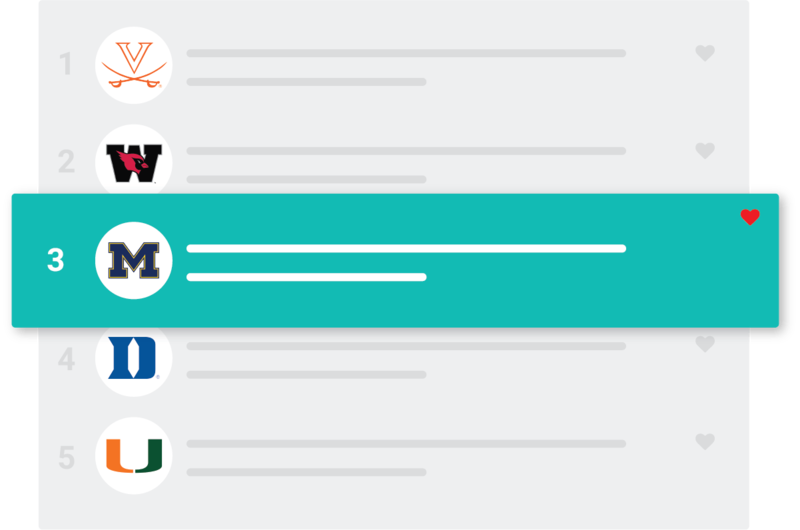 Build your target list of schools with the click of a button. SportsRecruits makes it easy to send your recruiting profile to college coaches and gain exposure. 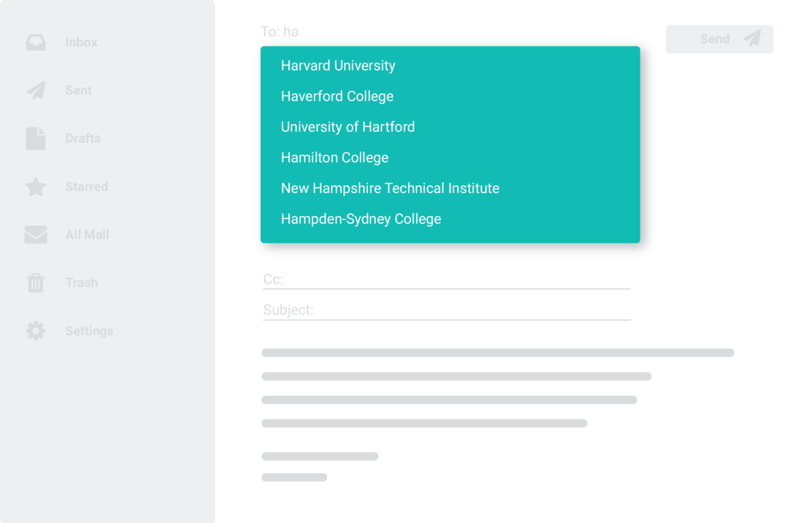 Invite your dream schools to evaluate you in seconds. Every college coach is on the platform. Keep all recruiting correspondence in one place. As you research schools, build a target list organized by fit to keep track of where you are in the process which each one. Build and maintain your target list of schools. Easily see when a school last viewed your profile. Organize your schools by reach, fit and safety. See all your interactions in one place. Never miss an opportunity with real-time email and text alerts. See when college coaches view your profile, watch your video, or send you a message. 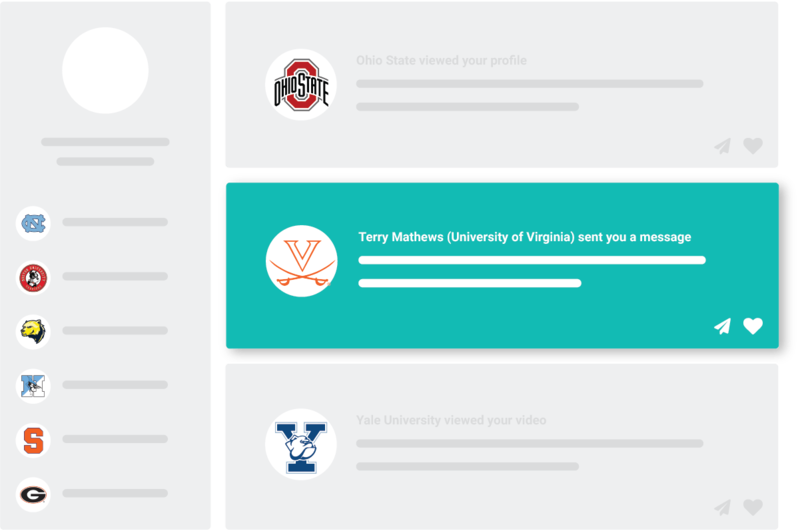 A real-time activity feed of college coach interactions with your profile. Start a conversation with a school with a click. Stop guessing who is actually interested in you. Upload as much video as you would like to your profile. 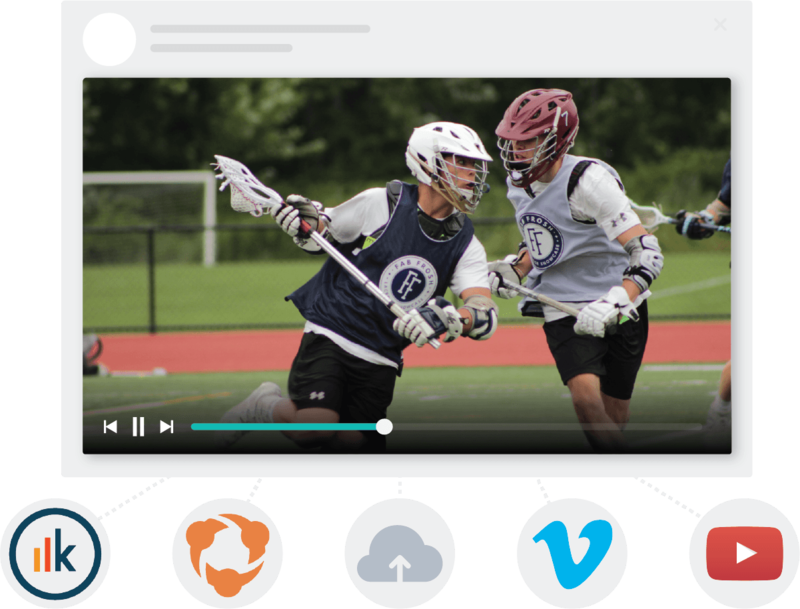 Use video from Hudl, YouTube, Krossover, Vimeo, etc. Work with our editing team to build a highlight reel. Everything a college coach needs to evaluate you as a prospect in one place. Update your information in seconds to ensure colleges coaches have the information they need, when they need it. Every coach can view your profile. SportsRecruits empowers high school athletes to pursue their dreams by providing them with a suite of online tools to handle every facet of the college recruiting process. We have every DI, DII and DIII college coach as a registered user. With over 100,000 members and founded by and staffed by former college athletes, SportsRecruits provides top-notch guidance when it comes to the college recruiting process. How do I use SportsRecruits? Once you register, you spend a few minutes completing your athlete profile. This is your athletic resume and you update it whenever your information changes. New grades? New video? New stats? Update your profile! Ideally, you are updating your profile every few weeks. When you want to contact a school, you use SportsRecruits' Built In Messaging System. Every DI, DII and DIII school in the country is a registered user of SportsRecruits allowing a member to put themselves in front of their target list of schools. Is SportsRecruits hard to use? SportsRecruits was created to streamline the recruiting process for high school athletes and their parents. We have built a platform that allows the most technologically challenged person to easily navigate the recruiting process. If you need help using the site, you can just call us and we will help you out. Our post-production team has built thousands of highlight reels. We have this process down to a science and have a simple process in place to quickly and easily get you your reel. Just send over your footage and fill out our form to let us know which 15-20 clips you'd like to include. We can use any video you have. Let's say you want to use some clips from video we shot for you and some clips from video you shot yourself. Simply give us access to your video and we have your highlight reel built and on your profile in about a week. Video can be a total pain and we want to make it as easy as possible for you. Click here to watch the latest reels and get started on one of your own! As former college athletes, our team understands the recruiting process can be stressful. We're on your team and we're ready to help. Kick off your recruiting process today.